Sustainable Systems. Designing Migratory Structures. Fall 2018, Carolin Mees, Parsons School of Design / The New School, New York. Intro to Food Design. Fall 2018, Carolin Mees, Parsons School of Design / The New School, New York. Sustainable Systems. Designing Migratory Structures. Summer 2018, Carolin Mees, Parsons School of Design / The New School, New York. Designing Urban Agriculture. Mobile Growing Structures. Spring 2018, Carolin Mees, Parsons School of Design / The New School, New York. Sustainable Systems. Designing Migratory Structures. Spring 2018, Carolin Mees, Parsons School of Design / The New School, New York. Sustainable Systems. Sustainable Nomadic Design. Fall 2017, Carolin Mees, Parsons School of Design / The New School, New York. Architecture Design Studio. Summer 2017, Carolin Mees, Parsons School of Design / The New School, New York. Designing Urban Agriculture. Deployable Growing Structures. Spring 2017, Carolin Mees, Parsons School of Design / The New School, New York. Designing for Resilient Sustainable Systems. Symbiotic Migratory Structures. Spring 2017, Carolin Mees, Parsons School of Design / The New School, New York. Designing for Resilient Sustainable Systems. Growing Sustainable Variable Structures. Fall 2016, Carolin Mees, Parsons School of Design / The New School, New York. Designing for Resilient Sustainable Systems. 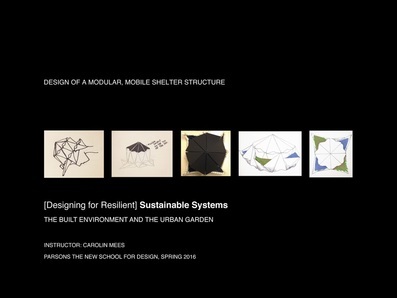 The Built Environment and the Urban Garden: Design of a modular, mobile shelter structure.Summer 2016, Carolin Mees, Parsons School of Design / The New School. Architecture Design Studio 2. Restorative Urban Landscape. Spring 2016, Nancy Kim and Carolin Mees. 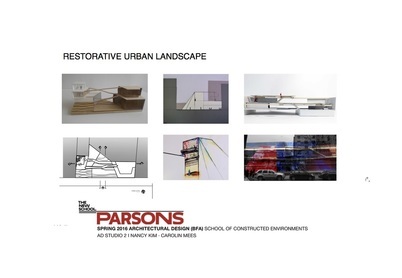 Parsons School of Design / The New School, New York. Designing for Resilient Sustainable Systems. 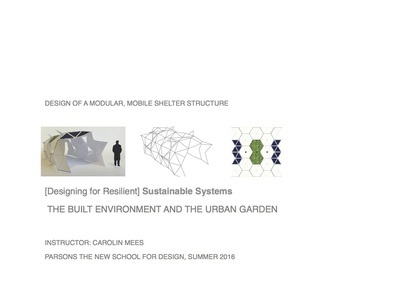 The Built Environment and the Urban Garden: Design of a modular, mobile shelter structure.Spring 2016, Carolin Mees. Parsons School of Design / The New School. Designing for Resilient Sustainable Systems. 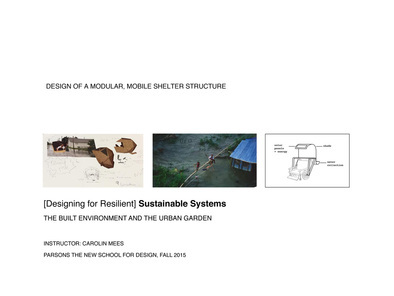 The Built Environment and the Urban Garden: Design of a modular, mobile shelter structure. Fall 2015, Carolin Mees, Parsons School of Design / The New School. Designing for Urban Agriculture: Graduate students' and Master Theses' supervision. 2011-2012, Carolin Mees, Institute for Social Sciences in Agriculture, University of Hohenheim, Stuttgart. 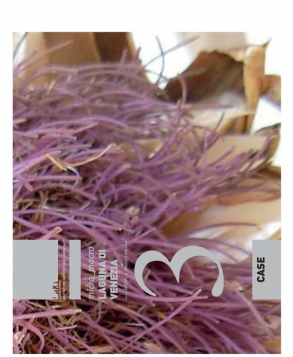 Case 03: Micro Macro: Laguna di Productiva and Sant’Erasmo, Systems and Production. Winter 2009/10, Seminar and Book publication. Carolin Mees and Andreas Goritschnig, Graz Technical University.